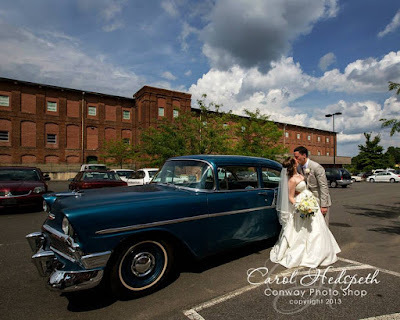 We are almost to the end of February and just about done with the wedding posts! I wasn't sure this was possible but I think all topics have just about been covered. Hooray! 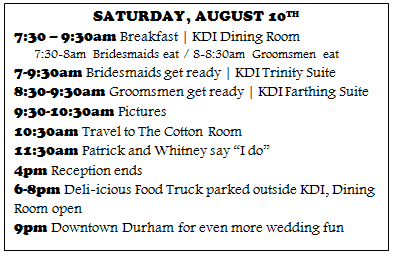 Today we are sharing the wedding day timeline and one of our favorite parts of the weekend (besides from the whole getting married part) -- a food truck dinner! 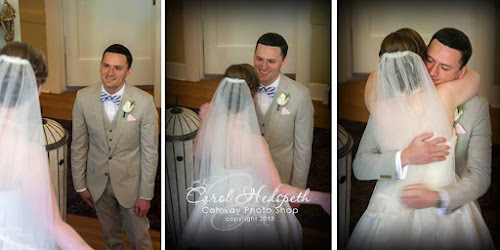 Since we had a daytime wedding the traditional wedding day timeline was very different for us. This little clipboard had the timeline on it and greeted everyone at the reception desk. The morning was certainly a little rushed! Everyone needed to be ready to leave by 10:30am but we wanted to start taking pictures around 9:30am. Unfortunately this ruled out a relaxing day at the salon with girls getting their hair done and drinking mimosas. The hair stylists arrived at 7am to get started on everyone. The guys had a bit more leeway and didn't meet in the groom's suite until 8:30am. And then there were "I Do's" and food and cake and mingling and dancing aka the ceremony and reception. Then it was quiet time. From 4pm until 6pm Patrick and I were able to have some time to ourselves to reflect on our wedding! Actually about 4pm a summer thunderstorm rolled around so it was nice to listen to the rain together. One of Patrick's tasks throughout the wedding planning process was to brainstorm a list of food trucks for us to contact for Saturday dinner. He quickly suggested his favorite truck that comes and parks outside his work on Wednesdays: the Deli-icious Food Truck! Actually there wasn't much of a list; there was only one line and it said "Deli-icious". Good thing they didn't turn us down! Here are a few snapshots of the food truck. It was such a wonderful day! We wouldn't have changed anything about our timeline. I loved marrying Patrick in the morning and not having to worry about jitters throughout the day. Again, let me say, it was a perfect day! I also loved the food truck - so relaxing there at KDI and delicious. It was a good idea Patrick had. I suggest you also conduct a taste-test. It's one of the yummiest parts of your wedding preparations, plus you're making your guests are getting only the best. Your groom-to-be's going to love this too! Brunch for the newly engaged couple!